Thank you for supporting us during our winter campaign. Together we raised $121,057. Everywhere we looked, we found people willing to contribute to our work. 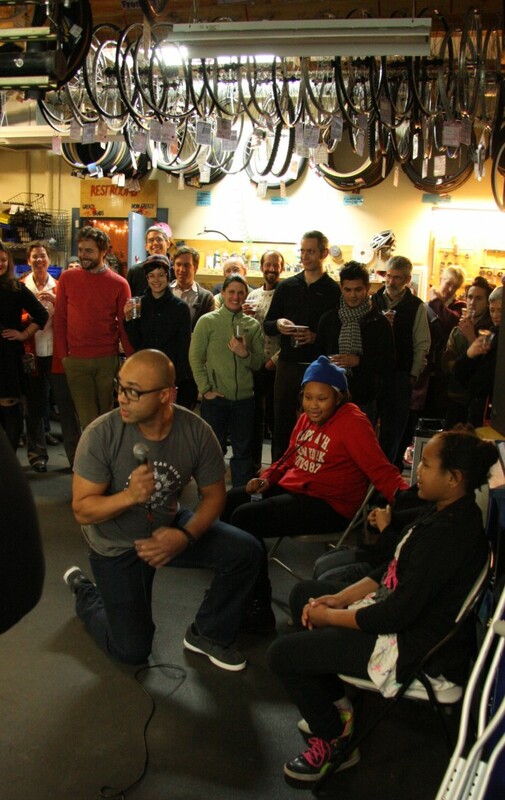 You heard from people at our Sneak Peek event about why they support the Cycling Center year after year. You watched as 382 children earned their first bikes at the Holiday Bike Drive. Your generous contributions have ensured a 2014 full of promise. The Cycling Center is poised to deliver innovation in: transportation advocacy, job skills training, community health, environmental education, and active transportation access. That is just the beginning. We will infuse the programs that we already deliver with innovation to create an organization that can broaden access to bicycling and its benefits in the most impactful way possible. Here at the Community Cycling Center, we have great sense of urgency about the mission that we deliver every day. It is wonderful when people like you share that urgency and decide to act. The pace of progress towards our vision of a thriving, vibrant community of people who choose bicycles to connect to where they live, work, and play is directly proportionate to the time, talent, and treasure that people like you decide to give every day.